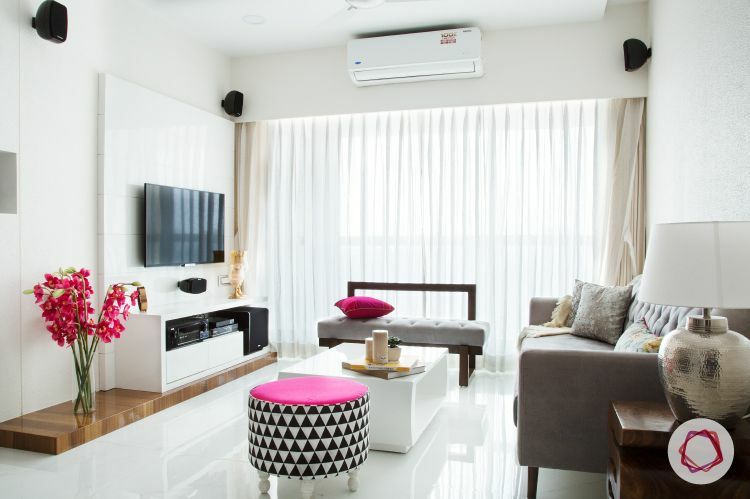 Saurabh Rawal and Kiran Rawal had just purchased their starter home in the developing neighbourhood of Lokhandwala Township. 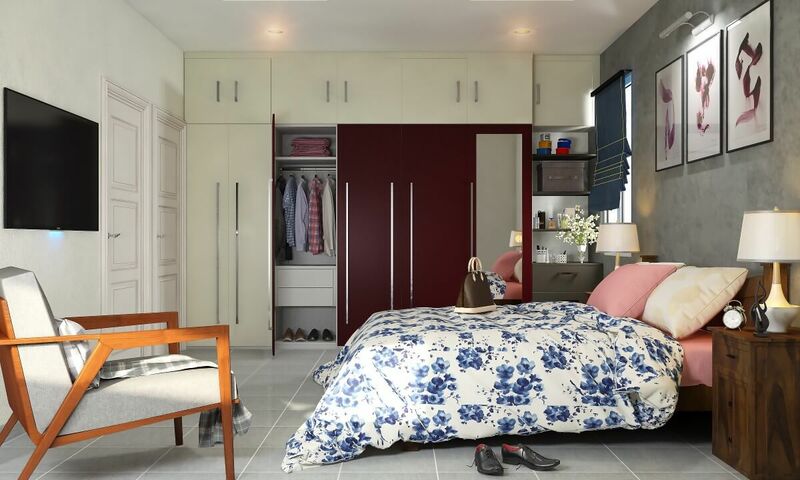 The clincher was the spatial arrangement of their two bedroom apartment, which allows for four adults to live comfortably, while the slim balconies hugging the exterior walls of each room was a huge bonus. 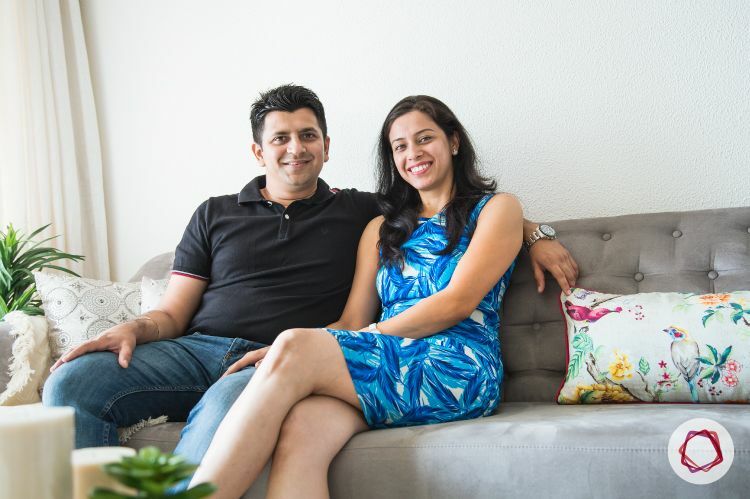 Saurabh and Kiran are very meticulous — no surprise there given he is in sales and she owns an investment banking firm — and were armed with lots of Pinterest inspiration that would eventually be translated into a few nooks and crannies. 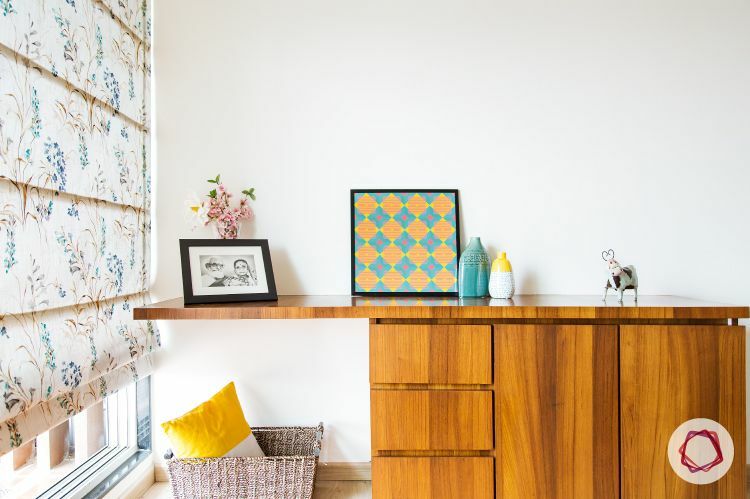 But before that the mammoth task of furnishing their home was staring at their faces: where do we begin? Do we start with the walls? Do we shop at retail stores? What about the wardrobes? Questions whirled. And answers seemed elusive. 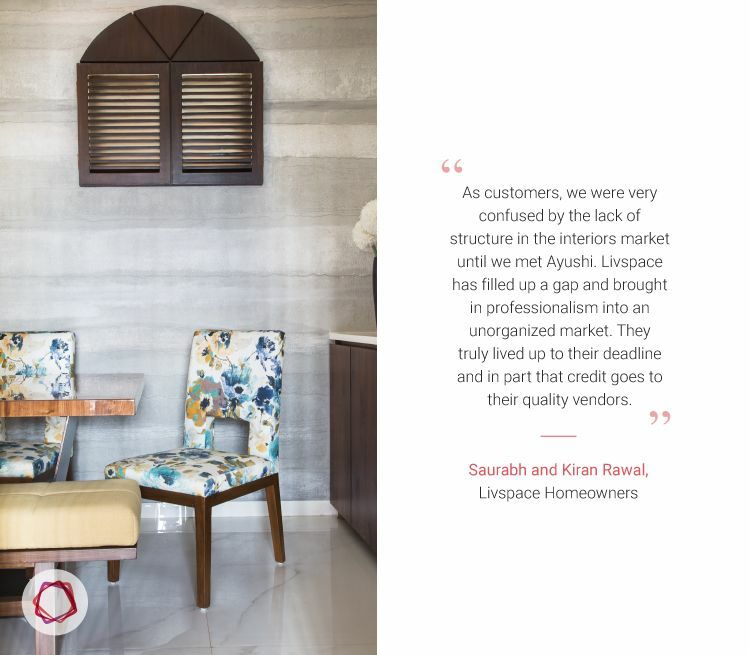 Until of course, they met Livspace designer Ayushi Kanodia. 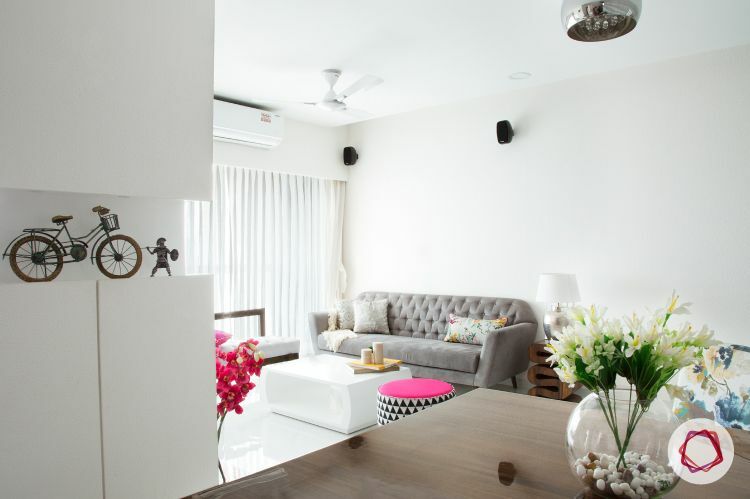 Their initial scepticism melted away after a taste of Livspace’s professionalism. Sheer white drapes give the living room an airy feel. A contemporary mix of greys, whites and browns enjoys pops of hot pink, while a snazzy silver drum chandelier and lamp add hints of glam. The couple was clear their living room had to embody comfortable design that’s chic and contemporary with a dominance of whites and speckles of greys and browns. 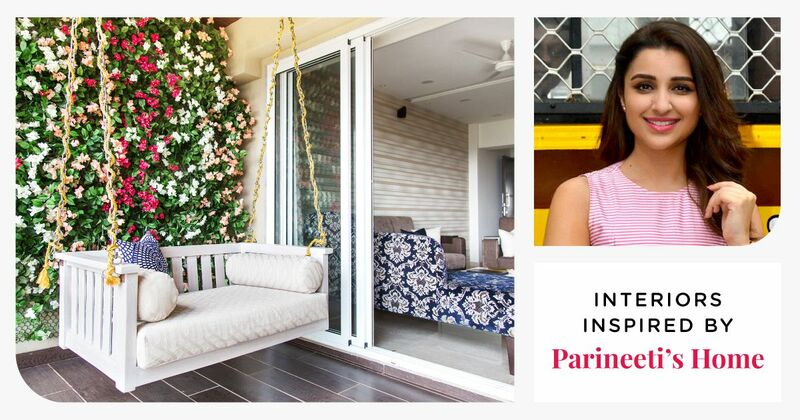 Ayushi harnessed these shades into a velveteen grey button tufted couch and accompanying bench with deep wood finished frames. 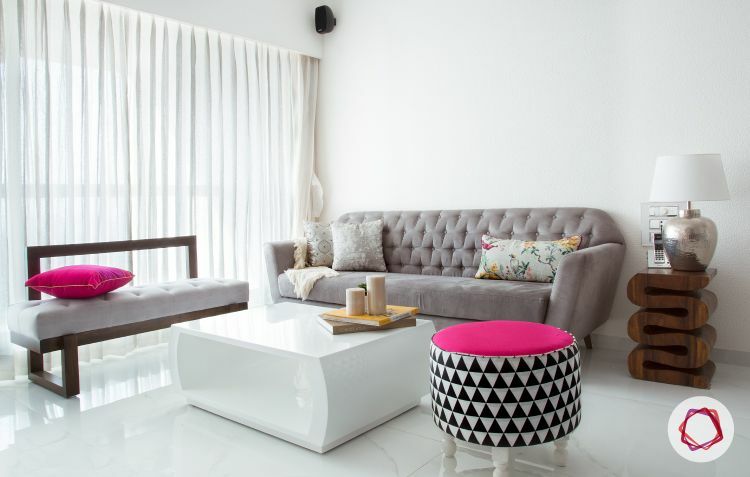 A mod rounded coffee table sits prettily in the centre and the same glossy white polyurethane finish was replicated in the stark lines of the TV unit. The exposed cement wall feels less rustic and more whimsical thanks to the mock mahogany window. The motifs on the upholstered chairs deliver floral relief. 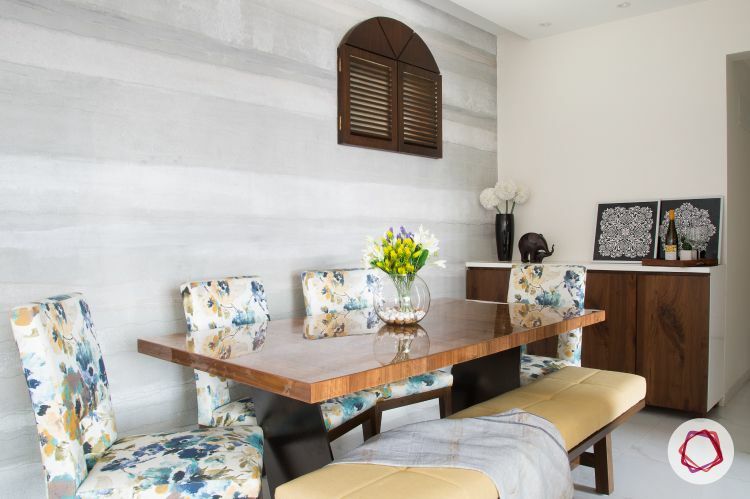 Ayushi echoed the living room’s glossy wood tones front and centre on the trendy dining table. Since the couple entertains frequently, a pineapple yellow upholstered bench allows for extra seating. But the highlight is the exposed cement wall finished in dull slate and chalk whites. The mock mahogany window with louvred shutters is a clever design detail that camouflages unsightly ventilation, giving the space a whimsical touch. The misty grey sheer drapes and the sensual amethyst bed linen allude to a hypnotic ambience, while the oak wooden flooring radiates warmth. The couple’s fondness for greys, whites and browns was played up in the master bedroom too. 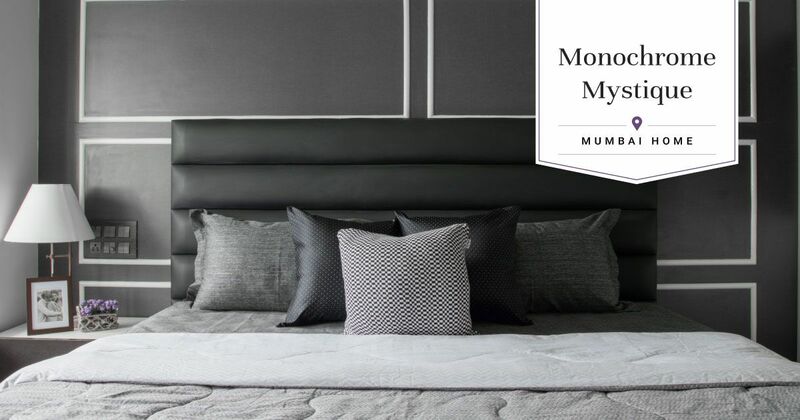 A plush channelled grey headboard anchors the space with a simple box bed. The sleek light pendant is a gleaming silver globule suspended in time. But the true test of design dexterity was the wall opposite the bed. 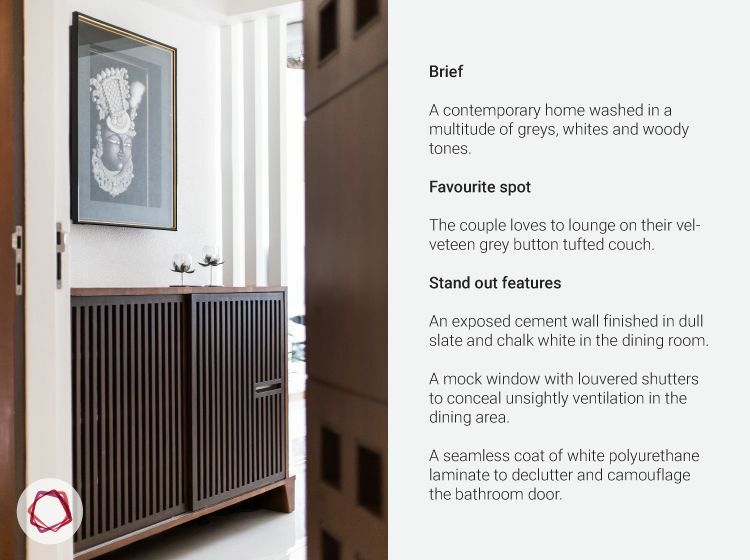 The wardrobe, TV unit and chest of drawers were finished in glossy whites and deep wood tones. A standard wood finish bathroom door would have simply made the space busy. 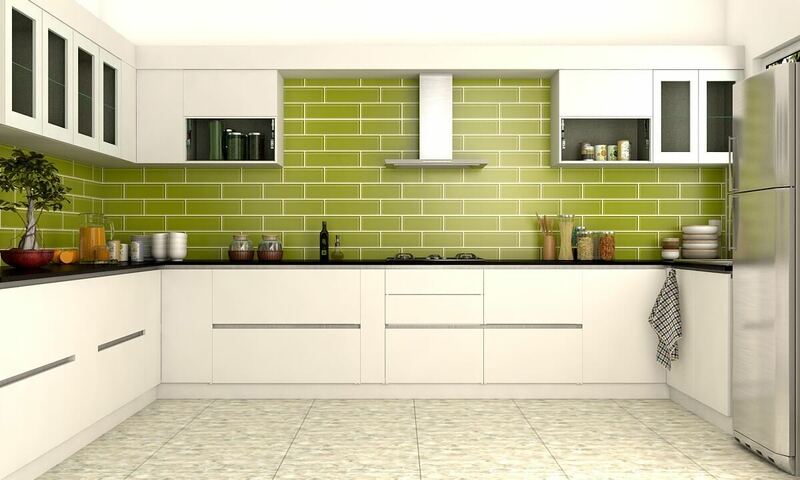 So, the entire wall, door included, was coated in a timeless polyurethane laminate white to create a smooth and seamless finish. 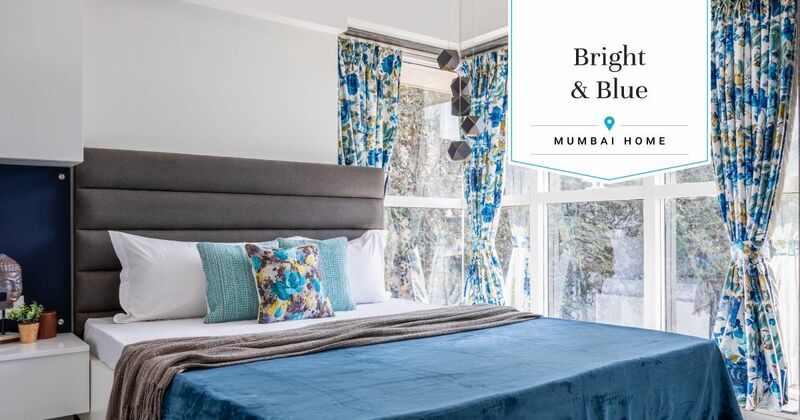 Simple floral drapes allow sunlight to stream in. A queen size box bed is dressed up with a wall hung diamond button tufted headboard in a luxurious chocolate-y upholstery. 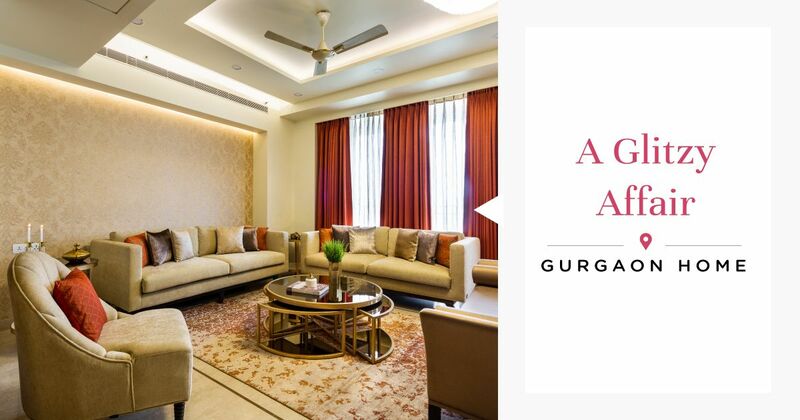 Breaking away from the grey monopoly, Saurabh’s parents’ bedroom, takes a more friendly atmosphere. 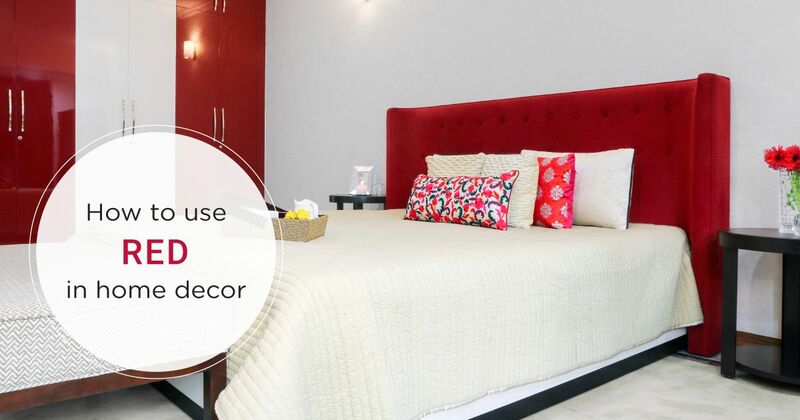 Floral blinds, warm oaky notes and a luxe chocolate diagonal tufted headboard encourage a bright and breezy aura. 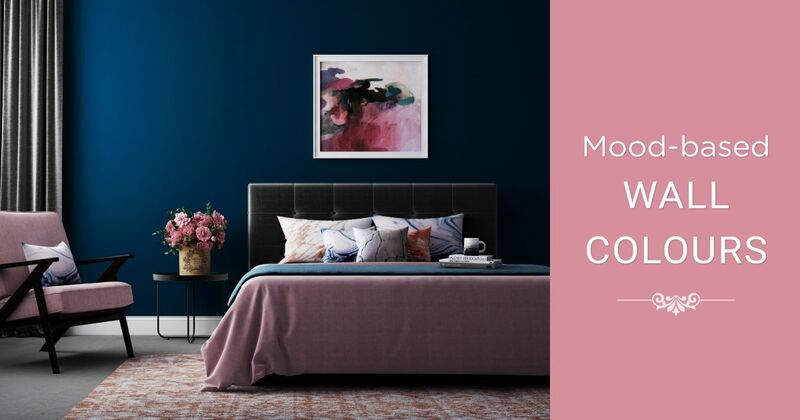 A lovely rose quartz wardrobe (unseen) completes the look. A simple shoe rack in burnt teak dominates the short entryway into the apartment. The safety door mirrors the same finish to unite the space. 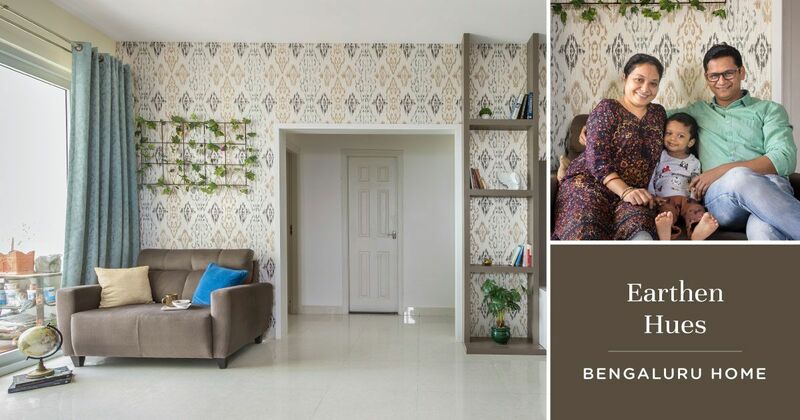 Saurabh and Kiran say they instinctively knew the look and feel they wanted to achieve but Ayushi’s technical know-how and expertise helped translate their ideas onto a breathing, living canvas that they now proudly call home.